Sadie has been the giver of nicknames in this family since she first began to speak. Maggie became Mae Bae because Sadie could say her entire name (or baby) and so she shortened both of them. Patch started out as "Pokie Boy" (because he was such a slow poke and took so long to get here, she explained) and then "Bippie Baby" and finally Patch (or Boomer depending on who you ask). 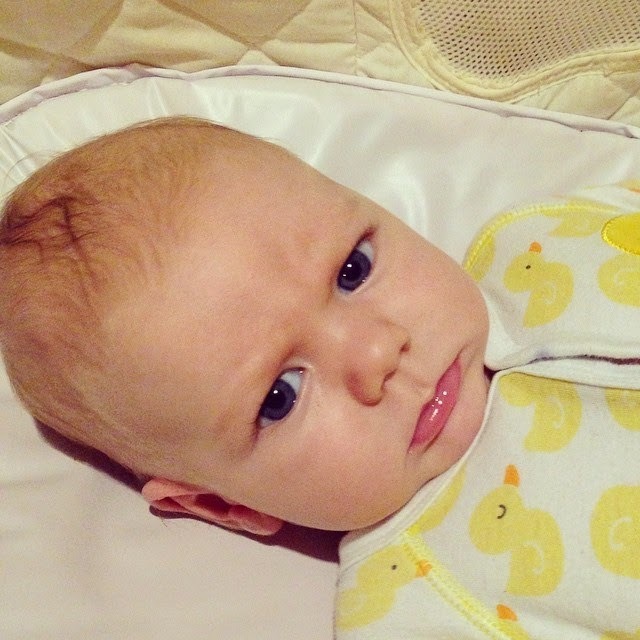 Grumpy Baby. Grumpy Cat. Grumpasaurus Rex. Grumpkin. Mr. Grumpfish. Tommy Brock (apparently James reminds his biggest sister of a story book badger...). She tests out a new nickname every day. Sometimes she runs through all of them at once as she gushes about his cute grumpiness. He is so completely, absolutely adorable! What a face!